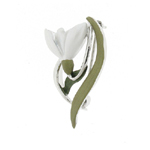 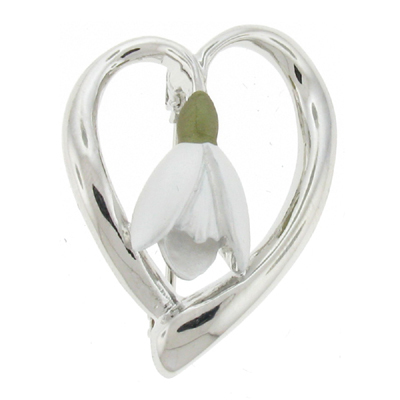 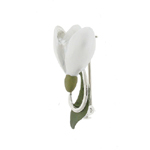 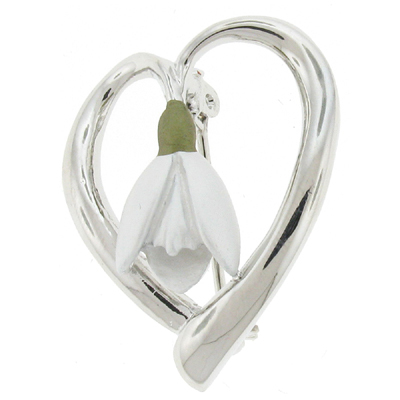 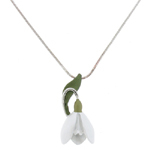 Stunning brooch adorned with white and green enamel Snowdrop flower in the centre of a heart, on a shiny silver plated frame. 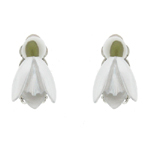 Size: 2.5 x 3 cms. 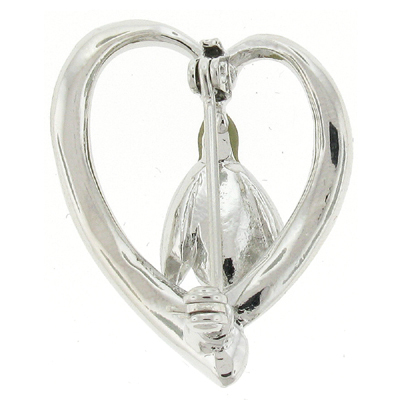 Perfect addition for your attire every day.